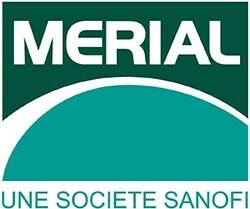 Merial, a world leader in animal health, decided to move its global headquarters to Lyon in 2011. 1,500 employees work across the Lyon area, in Lyon-Gerland, Saint-Priest, Lentilly and Saint-Vulbas. The Lyon-Saint Priest facility, located on a 21-hectare plot of land, is Merial’s largest vaccine production site, accounting for 40% of its total production. Merial has already invested 260 million euros in its construction and has now decided to invest over 40 million euros in a new line of bio-generators, which should enable it to double its production capacity at the site. This line, which should be fully operational by mid-2017, will make it possible to produce other types of antigens for other types of vaccines. An additional 15 million euros were also invested in a workshop to produce effervescent tablets, bird vaccines for poultry, which will be put on the market in September. Every year, Merial produces 25 billion vaccine doses (85% for export) at its facility in Lyon-Saint Priest, which is celebrating its 20th anniversary this year. With this new investment, this major player in the Lyon area aims to increase its leadership to someday become “one of the top 20 companies where new graduates want to work” to hire the “best brains for the best products”. Formed in 1997 through the merger between the Animal Health Division of Rhône-Poulenc and the Animal Health Division of Merck & Co, the company is now wholly owned by Sanofi. In 2014, Merial had sales of 1 billion euros from France and total sales of 2.1 billion euros. The company has 1,500 employees in Rhône-Alpes. In 2017, the global headquarters of Sanofi Pasteur and Merial will merge their functions and consolidate in the Lyon-Gerland Biodistrict.